Best Maid Agency in Singapore – How to Choose? Hiring an employee is, undoubtedly, one of the most crucial tasks to do. Most expatriates have no idea where to proceed, who to contact and what kind of helper to prefer! Finding the right kind of helper that fits your family and children is what one needs the most. Now, besides finding a suitable helper, there are a lot many official responsibilities to be fulfilled. It’s no wonder that paperwork and bureaucracy complement the very process of hiring a helper. Depending upon the capabilities of the helper and the nationality, rules and charges may vary. Choose the best maid agency is a must! The employment agencies form an integral part of finding a suitable helper. They walk you through the choices available for you and also help you in a better understanding of the guidelines as established by Ministry of Manpower (M.O.M.). 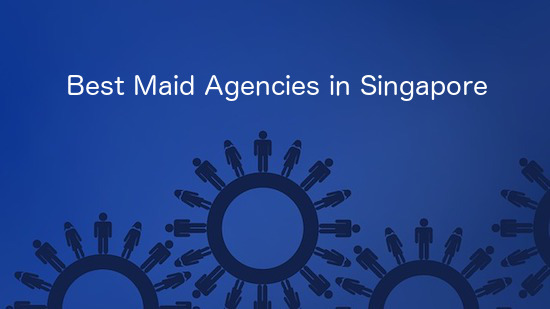 Singapore is stuffed with maid employment agencies that it gets difficult as to whom to approach. Nonetheless, some are even shady and deceptive to both the helpers and the employers. The employment agency data is transparent; all thanks to M.O.M. With the help of their robust database, one can find employment agencies by their name in addition to checking the agencies under surveillance. You can go through all the employment agencies which have received demerits from the M.O.M. score ratings ushered by the employers will make the whole process feasible for you. This term denotes the percentage of foreign domestic workers (FDW) placed by an employment service who stay with the same employer for minimum one year. A standard contract, however, lasts for two years. When a help is employed steadily, the relationship proves to be beneficial for both the parties. The average in the industry, although, is 48.18%, whereas the top agencies have retention rates as high as 50 or even 60! Employment agencies, no matter the how big or small, which have higher volumes of placement naturally have higher averages. This term is used to refer to the percentage of foreign domestic workers who have been transferred to three or more employers within a single year. The industry average stands at 1.65%. Placement volume is the number of work passes applied for by an employment agency. The average in the industry is 81.36%. A higher value means that the aforesaid employment services work in an extremely professional manner. The agency with high value is considered to have better resources in terms of response to a particular problem as in cases whereby one needs a replacement helper and housing because helpers usually reside in dorms before they are employed and can also opt out for the same when the employers are away. These include fees charged to both helpers and employers. This popularly includes finder’s fees. In case of finder’s fees, employment agencies charge helpers with a particular amount that can, sometimes, take up to eight months for helpers to pay back. It is undoubtedly surprising to work for straight eight months without any salary! Although employers do have the option of covering up the costs; nonetheless, it’s definitely high up-front amount for each and every one who’s involved. However, some employment services do not charge any such kind of fees. Employment agencies who do not ask for any such fees prove to be more popular among the folks rather than the ones who charge finder’s fees. Before hiring by employment services, the hirers usually describe their needs to the services. It is then that they start interviewing suitable candidates. Some agencies even walk you through issues like renewing contracts, the arrangement of home leave for the helper you hired and finding a replacement helper in case the first hire didn’t work out. The employment services are helpful with repatriation process in situations where the helper lands into any kind of legal troubles. As of now, you don’t have to worry a bit. We have done our wee part for helping you out. If you are searching for a good starting point, this might prove to be of utter importance to you. HelperPlace is a social platform for employers and helpers. It is simply a way of connecting people. You are not only able to get any kind of help but each and every stage of the entire process becomes much more feasible. You are always updated with tips and news on contract, rights and the whole recruitment process. HelperPlace employment services are becoming increasingly popular among the folks and they are amazed by the qualified helpers provided by the platform. Quick support and responsiveness are also a plus. 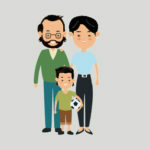 Dedicated to helping families, HelperPlace, Singapore suits the best for expatriates and local families. HelperPlace is an ethical platform. They never charge domestic helpers to use their services. Helpers can post their resume on the website and the employers finding the help suitable will be able to get in contact with the help via the online platform. 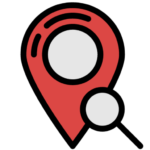 HelperPlace provides the best service for helpers and potential employers to find each other. No expectations will ever be ruined. Domestic help is usually considered as one of the five important people in the lives of the working mums. And so, HelperPlace, Singapore, makes it a point to satisfy their clientele, no matter what. Check all the helpers looking for a new employer. Imtidad is committed to finding the employers with the very best help. The employment services in Singapore also ushers the clients with full home service delivery. From selection to the signing of contracts and delivery of foreign domestic workers will all be carried out at the premises of the employer itself. The clients can even carry out live interview via Skype prior to making their final decision at zero cost. Imtidad has won laurels for their customer satisfaction. Imtidad, Singapore is even the receiver of ‘Best Domestic Helper Recruitment Agency’ from Parents World Singapore in 2016. Universal employment agency has been serving people for the past 30 years. They are one of the best maid agency in Singapore. Employers can search for the help in just a single go. Trusted by more than 10,000 customers since 1986, they sure believe in customer satisfaction as their utmost priority. One of the reputed employment agencies definitely proves to be a huge and professional operation. They are specialized in experienced transfer helpers in addition to rendering help services whereby trained caregivers are employed for taking care of elderly. All the complex details right from arranging flights to preparing paperwork and monitoring medical checks will be taken care by the agency itself. Their prompt and courteous response and their professionalism have always been hit among the folks. Choose the best maid agency is important to be sure to hire the right helper. Do not hesitate to read our guide to hire a maid in Singapore. Ready to start ?